I am a member of the neurology society of Vietnam, which have nominated me for the trustee position. In support of my candidacy, I will provide some biographical information about my qualifications and experiences. I was born in North Vietnam and moved with my family to South Vietnam in 1955 as a result of the war. I was one of the first Vietnamese to come to Germany in 1967 to study medicine at the University of Freiburg. I specialized in neurology and psychiatry. Marriage brought me to the U.S. in 1982, where I continued my training, first with a residency at the Medical University of South Carolina and later with a 3-year fellowship at Columbia University and London’s National Hospital for Nervous Disease. 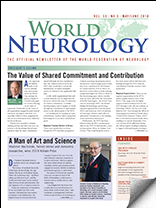 My journey with the World Federation of Neurology (WFN) began in 2002, when I was given the honor to serve as a member of the Publication Committee. I was entrusted with the task of improving upon World Neurology. At the time, the newsletter was printed in India and mailed to subscribers worldwide. To reduce costs and expedite circulation, I proposed the transition to an Internet-based newsletter with regional interests. This proposal was later implemented as the current World Neurology. My association with the WFN gave me the opportunity to safely develop educational programs for Vietnam, as it had just begun opening its doors. I developed the International Neurology Forum, consisting of a short course focused on one topic lasting one to two days. This format was the product of repeated observations that physicians from developing countries did not demonstrate high retention of new techniques learned from broad, lengthy meetings. However, when trained collectively in a large group in their own countries, there was a much higher chance that their practice patterns would change collectively. I organized the forums later in different developing countries, such as Mongolia, Indonesia, Tanzania, Uzbekistan and Kazakhstan. I also have served on the Publication, Fundraising, Membership, and Education Committee, the Editorial Boards of World Neurology and the Journal of Neurological Sciences. I have joined with my other three colleagues to edit a textbook, International Neurology, with the contributions from more than 200 neurologists from 50 countries around the world. This book is now in the second edition. 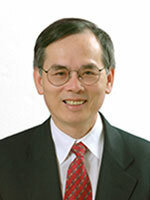 I have published over 180 scientific papers and six books. As the WFN continues its endeavor to foster quality neurology and brain health worldwide, it serves as the bridge connecting different national neurology societies together. Its collective knowledge and strong moral standing lend the support to different national neurology societies to become a professional society with its own standing and as a pillar of democracy in their countries. I believe that I will be able to assist WFN to promote and sponsor initiatives that can leverage growth in neurology in regions of need, such as Africa, Central Asia, parts of Eastern Europe and Southeast Asia. Toward this goal, I believe that the WFN communications processes can be further improved to push for low-cost education in developing countries. To assist in developing education programs worldwide. The role of trustee requires a balance of experience, energy, and teamwork. I believe I will contribute effectively to the stable growth of the WFN, the fulfillment of its mission, and the achievement of the stated goals.